Tyler Loy joined RKF in 2016 as a Canvasser in the Miami office and was quickly promoted to Associate. As an integral piece of the team, he is responsible for market research, providing up-to-date news and trade information, creating marketing materials and helping source new business relationships. Tyler supports the brokers with multiple regional and national landlord assignments, as well as assists with the positioning of the RKF’s tenant representation. 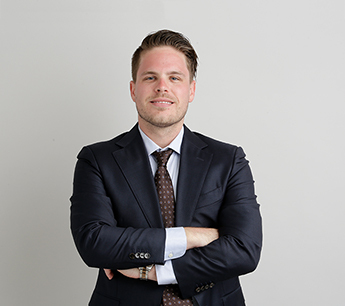 Prior to RKF, Tyler worked as a residential Sales Associate with Keller Williams Realty specializing in luxury waterfront condos developing, nurturing and closing the sales and purchases of numerous clients. Before real estate, he was immersed in the entertainment and hospitality industry of South Beach working with celebrity journal World Red Eye Productions as a lifestyle photo-journalist and blogger. Tyler grew up in Miami Beach and attended Florida International University, graduating in 2013 from the Chaplin School with a Bachelor of Science Degree in Hospitality and Tourism Management.